When you first start out with advertising on your site, it is natural to set the pricing low so that you can entice a few advertisers. 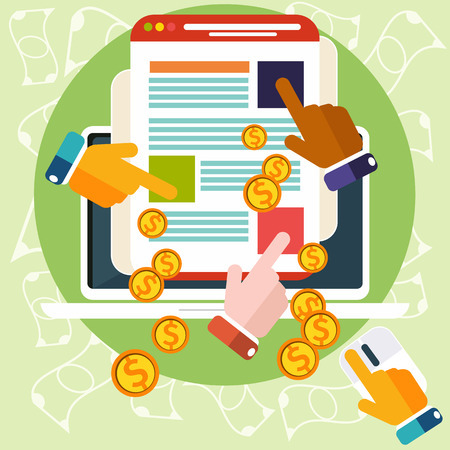 As your number of visitors grows, so should the price you charge for outside advertisers to place their ads on your site. There is always the risk that some of your existing clients will pull their ads refusing to pay the heightened price, but those spaces may then be filled with better quality ads that helps you earn more money, whilst also being more relevant to your regular site visitors. Your website can look pretty barren if it is covered in placeholders for potential advertisers. While this may seem like contrary advice when you consider what we said in tip number one, you may need to consider a price drop or a discount of some kind in order to entice new advertisers. There are still some advertisers out there who are a little gun shy about putting ads on a site they have never used before, so giving them a reason to buy your space might be all the incentive they need. If you are constantly having to turn away potential advertisers because you do not have the space on your site to accommodate them, it may be time to revisit the layout of your site. Creating new ad space is a great idea if it can be done in a way that still makes the ads look as though they are a natural part of the site. Creating extra space at the expense of the content on your site may not be a great idea, so try to ensure that you strike a good balance when making these sorts of tweaks. In some cases, an entire redesign may be necessary which may take a long time and some investment but it could be a great step for increased advertising revenue. It stands to reason that you have a better chance of your ads being seen and clicked if you can entice your visitors to stay a little longer. One of the best ways to do that is to create content that engages the visitor and makes them want to interact. If they like what they see, they will get involved in the site, spend more time there, and return to see what else you can deliver. This all increases the likelihood of ads being clicked. How bad are irrelevant ads? How to earn more from advertising on your website?